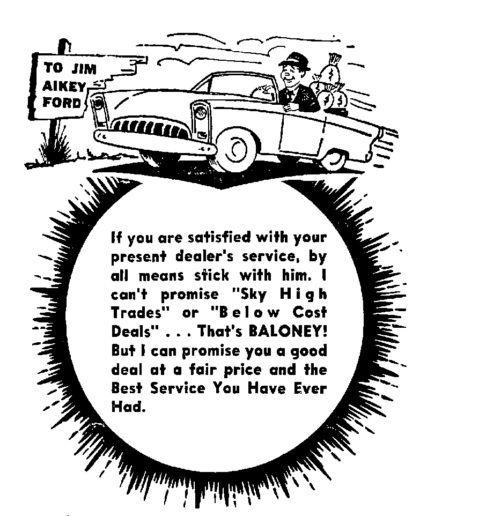 Jim Aikey Ford was located at 750 East Northwest Highway in Des Plaines, Illinois. The area is not too far from O'Hare International airport. According to factory records, Aikey sold 116 Shelbys. Most of these cars were sold after 1967. 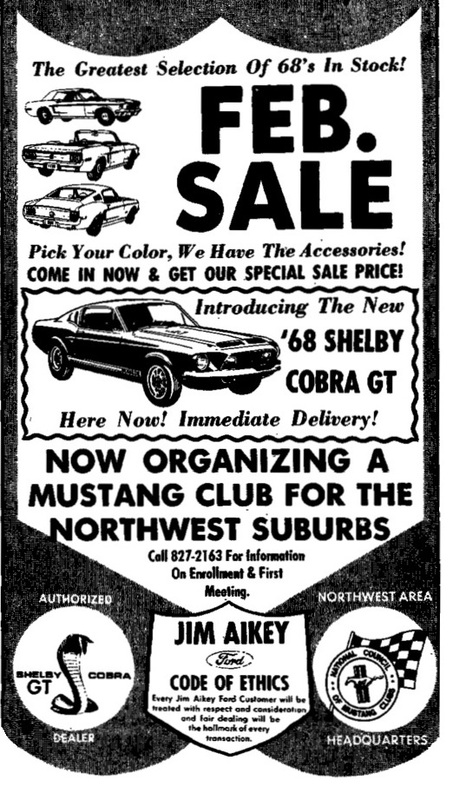 February 1968, Jim Aikey starts a new Mustang Club. 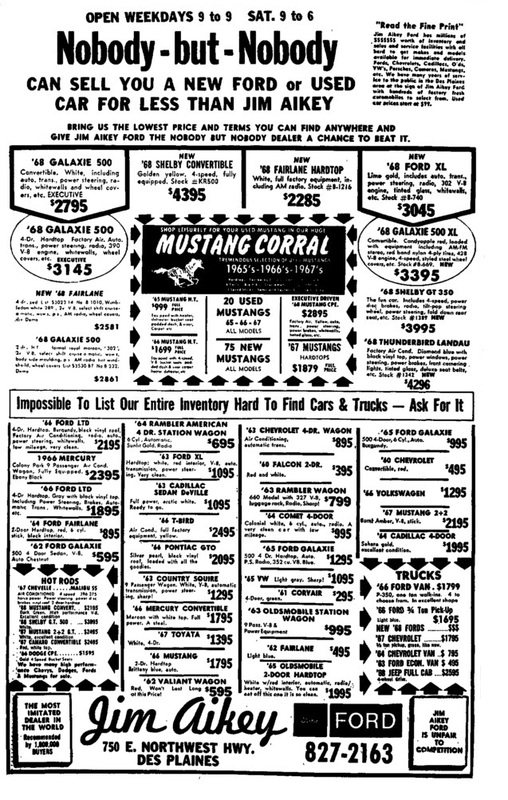 Do you have anything from the Chicagoland Mustang Club? This advertisment is from August 9, 1968. 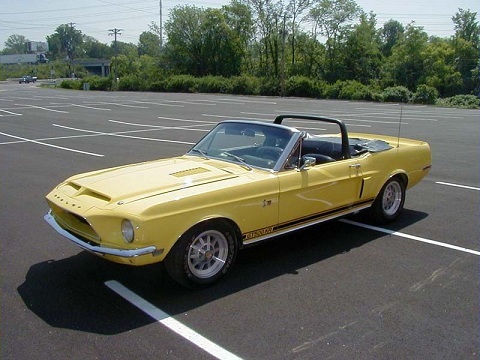 The first thing I noticed was the 1968, yellow, 4spd, convertible. 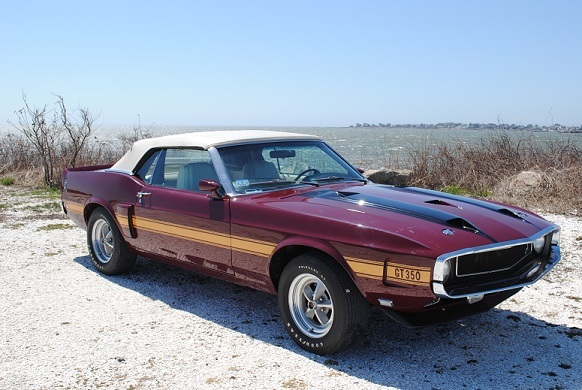 Since, the dealership only sold one yellow, GT500 KR convertible, we know this car is # 3279. I just love it when that happens! Maybe I should adopt the Aikey slogan? "The Coralsnake - unfair to the competition"
Here is a picture of # 3279. The car was once owned by famous tennis player Jimmy Connors. It currently resides in Southern California. This is # 3327. 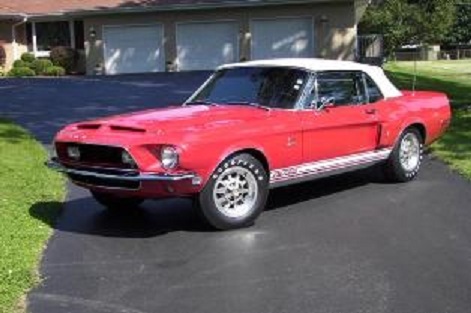 This beautiful red GT500 KR car is a SAAC Concours Gold car and it was sold new at Aikey. This is 1969 # 401. This Aikey car was sent to me by Bret. It was originally Maroon, now its black. 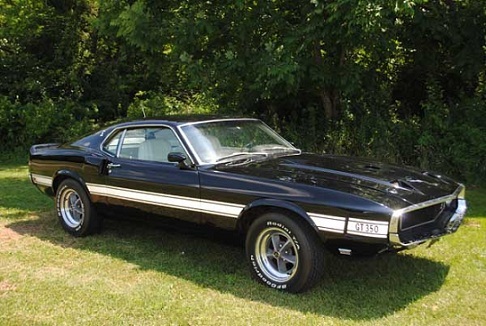 This 1970 model was also sold new in Chicago. It is # 2386. That is one sweet ride! 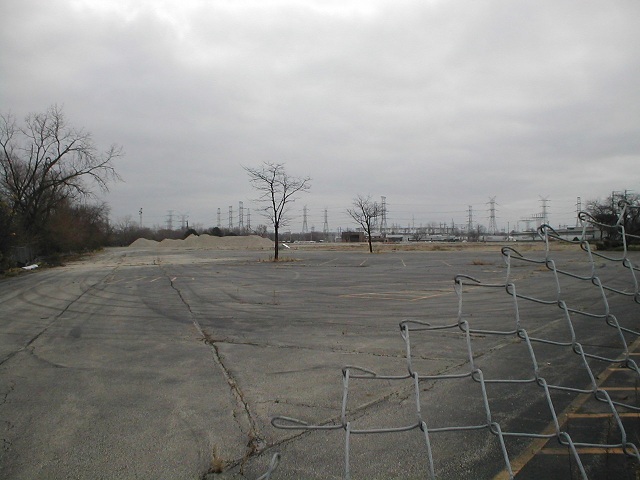 Aikey Ford is a vacant lot today. After the dealership closed, the building was used by an automotive fuse manufacturer. When they went out of business, the building was torn down. The land is scheduled to be redeveloped. If you have anything related to Jim Aikey please send it over for inclusion in this article. All cars are welcome.